Click here for tender details. 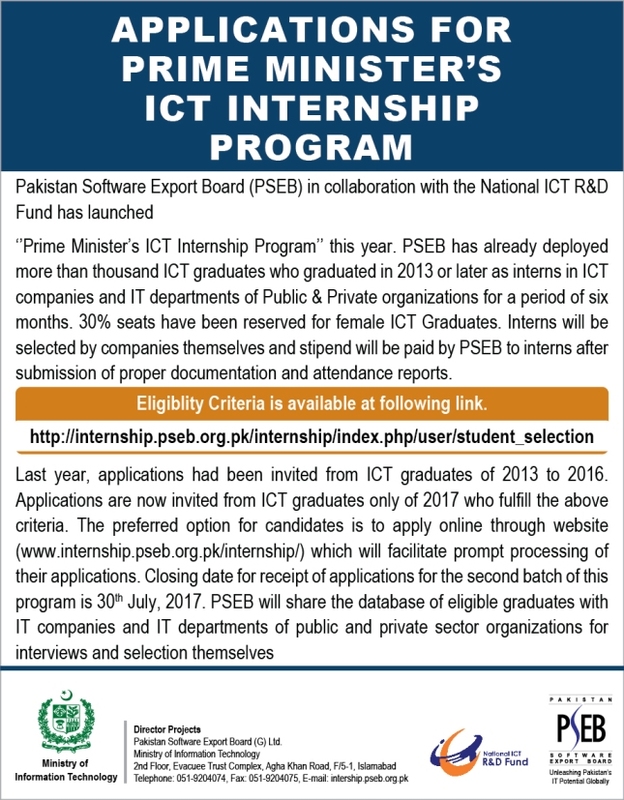 Pakistan Software Export Board (Guarantee) Limited (PSEB) is an apex Government body under Ministry of Information Technology with the mandate to promote Pakistan’s IT industry in local and international markets. PSEB invites sealed proposals for Provisioning of Web Site Maintenance, Design, Development and New Content Writing Services for PSEB Operations. This support services contract will be initially for a period of one –year and extendable upon mutual consent, but can be terminated by PSEB at any time with thirty (30) days advance notice. The complete technical & financial proposals as per TOR’s instructions should be submitted on or before Monday, November 06, 2017 at 11:00 am, which will be opened on the same day at 11:30 am at the following address. Aga khan Road, F-5/1, Islamabad.